Is it best to stay on the Zimbabwe or Zambia side? We are a party of 4 adults who will be flying from South Africa to see Victoria Falls in early June 2015. Should we stay on the Zimbabwe or Zambia side? How easy is it to get around without hiring a car? We don't mind doing a bit of walking. Not planning on doing any adventurous water activities or bungee jumping. Our main aim is to see Victoria Falls and maybe some animals at a national park if time permits. We have 2 nights before we leave for Australia. Comments for Is it best to stay on the Zimbabwe or Zambia side? I have written a page about the pros and cons of Zimbabwe and Zambia, which should help you decide on which side suits you best. You can see that page here Zimbabwe vs Zambia. In my view tho there is no discussion, Zimbabwe is a much better choice. On the Zimbabwe side getting around is very easy, nothing is very far from each other, there are plenty of taxis and any activities that you book and do will include pick up and drop off from the hotel you are staying in. There is really no need to hire a car. In Zambia this is not the case, it is much more spread out and Livingstone town itself is over 10kms from the Falls so everything you do involves a costly taxi fare or a transfer. The national park on the Zimbabwean side is much better than the one in Zambia. Here's the link to the activities that are available Victoria Falls activities Please don't hestate to contact us if you need any help in arranging your accommodation or activities....thats what we do. 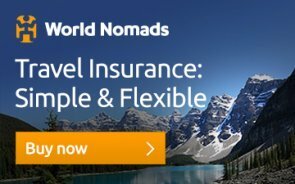 Tours from Johannesburg to Victoria falls? We're flying into Johannesburg, and want to visit Kruger, and would love a safari tour. We already have accommodations at lokuthula next May, so we don't need that included. We only have 16 days. Do you have any suggestions? Comments for Tours from Johannesburg to Victoria falls? If you are coming up to Victoria Falls my honest suggestion would be to skip the Kruger and do your safaris in this part of the world. By going to Kruger you are only adding expense and using up valuable time. Your game experience in this part of the world will match that of Kruger easily and from my experience surpass it. You could split your time between Hwange national park which has great game viewing and is a real Africa experience with very few tourists and the Chobe national park, which is world renowned for it's vast numbers of animals but this has quite a few more tourists aswell. If time and budget allowed you could then go to the Okvanago delta, Lake Kariba or Mana Pools all of which are outstanding destinations and would nice contrasts for a completley unique holiday. Do you offer a service to book with Zimparks for national park bookings? Thank you for writing to us. I have often thought that we should offer this service for national parks bookings as I know how much of a nightmare it can be dealing with them. We would be able to take online paymnet through our normal booking sytem and then go down to national parks and pay them in cash. So in essence I am happy to assist with bookings if you need them to be made, we would probably add on a 10% handling fee for all the running around etc. We know you are concentrating your efforts more on Zimbabwe and not on Zambia. Still we hope you can help us out. Coming August we will be staying in Livingstone in the Maramba Lodge for two nights. We have some ideas about what we want to do, but are not certain everything is realistic. Do we want to cram too much in twee days? These are our plans for now. • After the falls trip to do the “Ultimate River Cruise Experience” with Victoria Falls River Safaris or Livingstone Island and Devil’s Pool (if open). Which would be more advisable? Or maybe just do a sunset cruise? Comments for Victoria Falls Plans realistic? Day one activities look fine to me. Yes the walk to Zambesi Sun is perfectly safe and not very far, but you can also catch a free shuttle between the two hotels if you wished. Just ask at the recpetion of the Royal Livingstone. Yes I would say the show is entertaining. 9am Livingstone island breezer (finishes 10.30) - island will definately be open in August and maybe the Devils swim also - but the island tour will be a highlight, I promise you. 2 pm till 4 pm tour of Falls - Zimbabwe side. I have listed them in this order because this is the best way to see them according to the light and the rainbows on both sides of the Falls - Zim and Zambia. By doing these activities at these times you will see them at their best. It is a bit of a tight schedule but quite doable if you are reasonabley active. Try to catch taxis between the two countries as the distances are quite long and these will exhaust you, especially in the heat, rather pay the $5 and save your energy for walking around the rainforests. Comments for Chobe or Zambezi?? Good question and one that I think is confusing for many people. Chobe is world renowned for its phenomenal concentrations of game, especially elephant but along with this reputation comes lots of tourists. This might not worry some people but for me I prefer to find somewhere a little less crowded. So although I love Chobe for its game I don't like it because its so busy. Also the only Lodge actually in the park is Chobe Game lodge, which is fantstic but comes with an extremely high price tag, it is super luxury and very nice. All the other Chobe lodges that you will see advertised are actually not in the park but just outside also reducing the authentic feel. Ngoma lodge is very nice at the other end of the Park and that would be a possibility.. far from the maddening crowd. If you are into semi luxury camping safaris then there are 1, 2 and 3 night options available which stay in the Chone Nat park itself and these I am happy to recommend. Zambezi National Park is right on the doorstep of Victoria Falls, no travelling time, no border posts, no visa fees and very few people. The game is no where near that of Chobe but there is still plenty of game around, it's just not as guaranteed or as concentrated. There are a couple of fantastic camps along the Zambezi river which I can highly recommend. If it's game you are after though and have 6 days for your trip I would recommend going to Hwange National Park for maybe 2 to 3 nights, here the game is fantastic and yet there are far fewer tourists, it is definately a more authentic African experience. It is relatively close to Victoria Falls about 150kms depending on which camp one stays at. Again no borders to cross no visa fees and less hassles. Victoria Falls Safari Lodge is a great choice. If I can find out a little more about your exact expections for your holiday, I am sure that I will be able to recommend the ideal places and accommodation for you as there are so many variables. Please either respond to this post or send me through a booking enquiry form booking enquiry form or email me on info@victoriafalls-guide.net and I will be glad to assist. We are a party of Ex Zimbo's returning with our family in Sep14. (party of 5 adults, 2 kids) We have a trip booked on a houseboat & then are planning to visit a national park. We are looking at hiring a 4wd/s from Vic falls to travel to Hwange for 5-6 days staying at Main Camp/Sinamatela. I understand road conditions in the park would limit we we could drive in a 2wd. When costing this all out, I am wondering whether you are aware of any camping type trip to Chobe for 5-6 days which would be comparable in cost as we wouldn't have to hire a car & all our meals would be included. Being an entire family, perhaps an operator would cater purely for us?? PS. 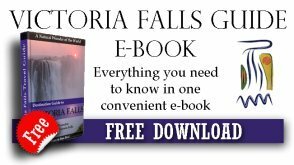 Great website - handy to pick up the latest gen on whats happening around the Falls! Firstly let me apologise for the very late response to your question, Boo and I have been travelling through the Zambezi valley for the last 4 weeks and have had no internet connection and have therefore not been able to respond, however we are now back in Vic Falls. Sounds like a great trip you are going to have. Most of the roads throughout Hwange are accessible in a 2WD vehicle especially at that time of year which is dry. Main camp and Sinamatella are both on the up now with National Parks having put some money into them to refurbish some of the units. However last week we stayed at a new privately owned self catering camp, just by Masuma Pan, this is one of the best game viewing sections of the park... bucket loads of game there. I can't rate this place highly enough, luxury tents on platforms overlooking a very busy (with animals) vlei and waterhole. All the ammenties including a large central area for eating and relaxing, fridges freezers, cookers, really well done and very reasonably priced. I will be uploading a page on this place soon, if you would like me to send you more details and prices please contact me. Main camp area was disapointing, lots of camps have opened up just oustide the park and we were swamped with landrover loads of tourists at the viewing platforms, this is not the case with Sinamatella or Masuma. Hwange to me still knocks the spots of Chobe, but if you seriously want to go there I do know of a good outfit that does camping trips in Chobe, they stay at designated sites within the park and these are good trips. Their standard trip is a 3 days 2 night safari which costs US$385 per person includes everything except your transfers from Zimbabwe, so I will have to get a rate for you for a longer trip and post it here as soon as I can. I would like to know which is better, Victoria Falls Game Reserve or Zambezi NP? I understand the difference but different tour companies have recommended either one or the other, which has left me undecided. By the way, I am happy to do both as long as I have time. Thank you for your advice. I think we will visit both parks during our visit. Great website and keep up the good work. Good question and one I am sure a lot of people must ask. I guess the fundamental difference is that the VFPGR is 4000 hectares and the ZNP is 56 000 hectares a big difference in size. VFPGR is therefore more tightly managed and controlled, on here you will be able to see Rhino that you will not see anywhere else in the area because they are protected. There are not the large herds of wild elephant but some herds do traverse the area, as do lion. This is where Shearwater operate their Elephant back safaris so you often see these elephant when they are out feeding and you can get very close to them. Other soft skinned animals like kudu, buffalo, giraffe, etc are always seen. The VFPGR is actually just a small cordoned off section of the larger ZNP. Game drives through this park are normally very enjoyable, plus you can do night drives. The ZNP is a national park and not a private game reserve. It is wilder and bigger and has lots more game, big herds of elephant and buffalo. It is also situated right along the Zambezi river which is beautiful. If you were able to do both that would be good. I would suggest a morning walk/drive through the ZNP then a night drive and bush dinner through the VFPGR this leaves in the late afternoon, so you get a game drive a night drive and a dinner all in one, it's very good. Click on the links to find out more on each activity. I hope that helps a little. We will be landing and visting (and make our departure) in the Zimbabwean side of Victora Falls (in October), but we also want to visit the Zambian side. Is it possible to stay in the Zimbabwean side (probably Shoestings Lodge) through out the whole visit and still make all the activities in the Zambian side? In that topic... Is there a recommended place (in Zimbabwe) for pepole who want to visit both sides? Thank you very much! This is a very helpful site! Visiting the Falls in september from the Zambian side is a waiste of money unless you are a Zambian. The admission fee is $20,= ($1,50 if you are local) and you only get a good view of what you are missing (in the distance you see the Zimbabwean side)! Also, despite what is said on the website, you are not given the school party fee per capita, which is only $ 5. Go to the Zimbabwe side in the dry season! Yes, I could use some help planning the trip. Right now my plan is to arrive at the hotel and ask there. Also I wanted to ask you if you know any ways to get lower prices on the activitis, like wild horizons. I would seriously suggest pre booking. Both Micro light and Devils swim have limited spaces,you could easily find one of them is booked up and then it will mess your whole day and cost you more in getting back on another day. Pre Book your time slots and then you know it's going to go according to schedule, including your transfer time from Zimbabwe. If you need help planning, please let us know. I'm guessing that any lodge will be staying in could help us organize the Zimbabwean side activities so there is no problem there, but about the Zambian side... Do I simply walk right in and meet the Micro light flight and the Livingstone island tour/devils swim? or do I need to plan it ahead? If you are staying in Zimbabwe there really is no need to do all the activities in Zambia. Everytime you go to Zambia you will require another visa and when you re-enter Zimbabwe you will also need another visa. It will get very expensive. The activities in Zambia are generally more expensive than in Zimbabwe. Most activities can be done on either side of the Victoria falls. Micro light flight and the Livingstone island tour/devils swim can only be done from the Zambian side. The view of the Falls is best from the Zimbabwe side. Zimbabwe has over 70% of the falls on its side, but the view from Zambia is also very nice, so I would recommend one day going across and seeing it from that side, the rest of your time spend in Zimbabwe. we want to do a 10 night safari from victoria falls any suggestions re an itinerary and an agency? We will be visiting the Falls in August. In which park is it conducted? What are the times and duration? Thanks for your wonderfully informative site! To answer a couple of your questions first. Leon varley safaris are normally 3 to 5 day walking safaris in themselves, either conducted in Hwange or Chizarira national park. So if you only have 4 days in the area I dont think this would suit you. Regarding the Tour of the Falls, with a guide you will obviously benefit from the guides knowledge of the falls, its history , its formation etc. so it is great in that respect. However on your own you with our map you can easily see every aspect of the Falls and not miss anything, enjoying it at your own pace. In an ideal world I would do both. There is a variety of game drive options around Vic Falls in the Zambezi national park and the Victoria falls private game reserve. Some include short walking trips which I think might suit you and ofcourse there is the Chobe National park close by for some phenomenal game viewing. Am interested in a safari guide covering the above area all in about a weeks time. Would this be possible? Did you read my previous reply on your last post, where I recommended Charles Brightman. Did you manage to contact him? 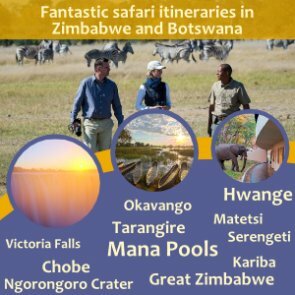 I would like a tour guide for the victoria falls area & botswana - 5 days worth. I will be in southern botswana & will want to see parts of botswana & victoria falls. Can you recommend a tour guide? Hi - a guided tour of Victoria Falls in 2011 costs US$22 and the entrance fee for South African residents is US$20 per person therefore the total is US$42, this is a group rate. If you would like to have a guide show you around other areas of Victoria falls this can also be arranged but we would need a few more details from you in order to put something together that suits your requirements. There is so much to do in Victoria Falls, so if you would like to send us more information about your planned trip, please contact us through this websites contact us form or booking enquiry form and then we can help you with more comprehensive details. GOOD DAY WE ARE A GROUP OF 88 PEOPLE FROM SOUTH AFRICA WHO WOULD LIKE TO VISIT VICTORIA FALLS NEXT YEAR SEPTEMBER WILL LIKE TO HAVE A TOUR GUIDE WHO WILL SHOW US THE PLACE AND VICTORIA FALLS. IN THE QUOTATION PLEASE INCLUDE ENTRANCE FEES IF THERE ARE ANY. In this instance, I think Charles Brightman would be ideal for what you are looking for. He knows the area extremely well, lives in Victoria Falls and has done for many years and is a professional guide, operating trips in and around that area. His contact details are as follows. We are looking for a professional guide. It would be nice to have all arrangements made by that group. We would be coming from southern Botswana / South Africa - I assume via airplane, we are still working on our trip. Thanks for making contact with us. Just to make sure that we recommend the right person for you. Can you be a little more specific as to what you are looking for. For example have you arranged you own route and merely want a local person to be with you to help you with directions, border posts, languages etc. Or are you looking for someone with greater knowledge of the animals and birds who would be a professional safari guide, possibly helping you to arrange your itinerary etc. If you have a budget that also helps as it can determine the kind of guide you can get. We know some excellent professional guides but they can be quite pricey. Which side of falls to stay in January? I realise you are Zimbambwean, so possibly biased but I'd really appreciate your urgent advice on which side of the falls to stay in January and the trade-0ffs for consideration. Comments for Which side of falls to stay in January? During January the water level is rising very quickly. The short section of falls on the Zambian side gets huge volumes of spray which can cause an almost complete white out. The same is true for some of the Zimbabwean side at that time of year but because they have more of the Falls there are more view points. I am Zimbabwean but having spent considerable time in both countries I would still say without bias that Zimbabwe has more to offer. Better views, better choice of hotels in closer locality to the Falls cheaper prices and better game viewing. Zambia has some great attributes and these can and should be visted on a day tour, but my point is that if one is coming all the way around the world to see Victoria Falls and you only see it from Zambia, you have only seen 20% of the entire Falls. My partner and I (UK citizens) are visiting Victoria Falls in August this year and fly into Vic Falls International airport whereby we have already booked a hostel which is in Zambia. (It seemed like a good idea at the time to book as we took a liking to it and we didnt want to leave it late and struggle to find somewhere else we liked) We only have a 3 night stay and need to get back to the same airport to then fly out on 31st Aug. We want to potentially do a helicopter ride, bungee and visit the devils pool. Would it be best just to cancel our current hostel booking in Zambia and find alternative hostels on the Zimbabwe side in a bid to prevent us having to cross the border on 4 different occasions? What would be our best option in terms of visa etc? Also any suggestions regarding adrenaline packages would be greatly appreciated. I would say you would definitely be better off looking for something on the Zimbabwe side, it's not only more convenient for you, it is so much better in so many aspects. Have look at our accommodation page for whats available Victoria Falls accommodation. August is busy so don't cancel your Zambian booking until you have secured something in Zimbabwe.